Lauren Regan an attorney for the CLDC will be giving two trainings on Sept 29th at walker church. From 10am-1pm she will be leading a workshop on movement legal work for non-lawyers. 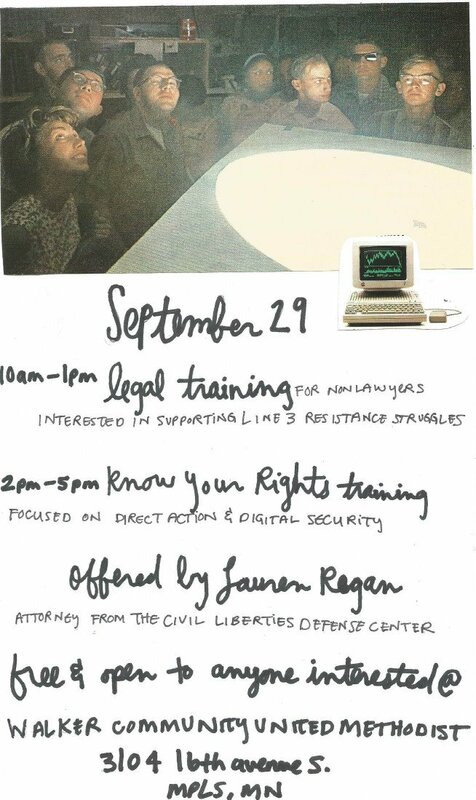 From 2-5 she will give a know your rights training focusing on direct action and digital security. These are not to be missed! Lauren is a very experienced and knowledgeable attorney. Both trainings are free and open to anyone interested.